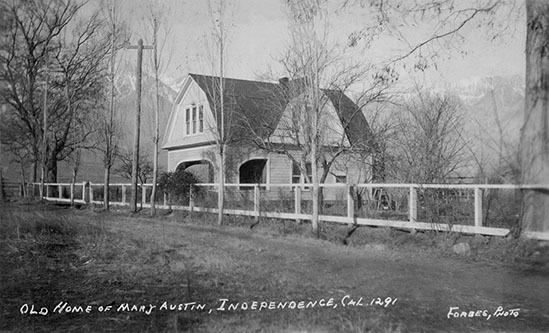 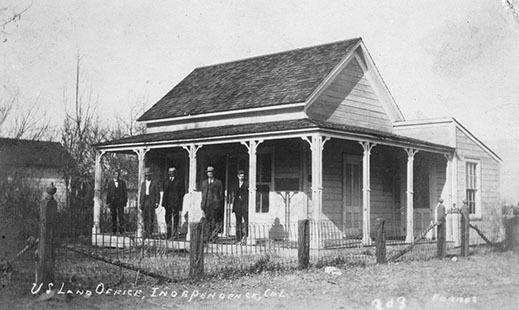 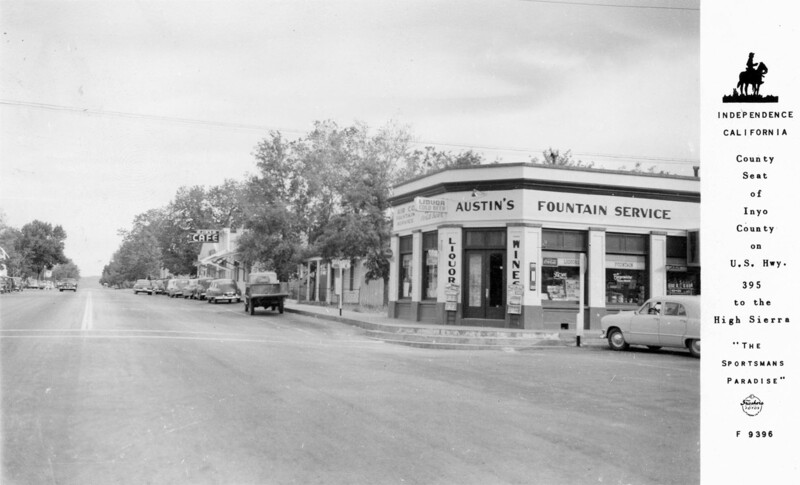 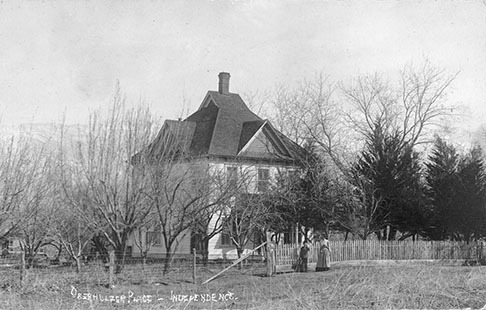 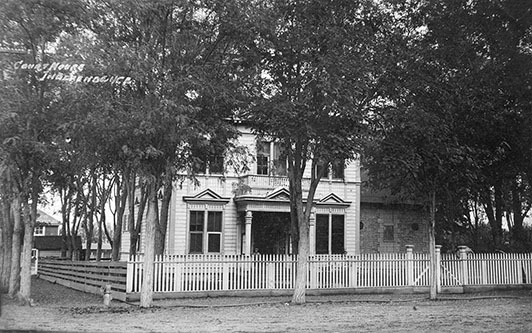 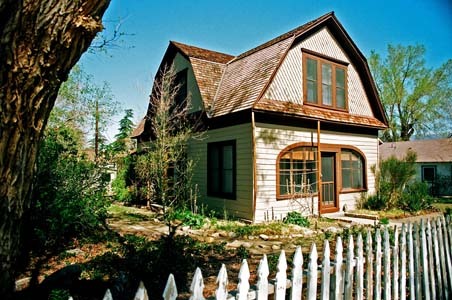 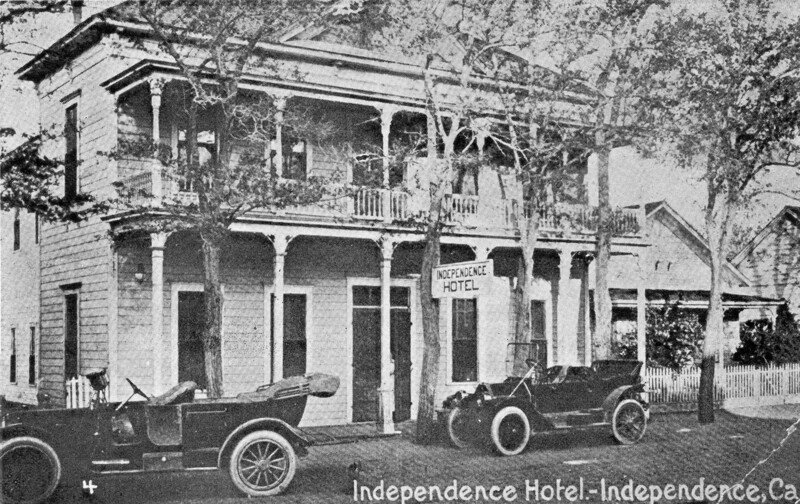 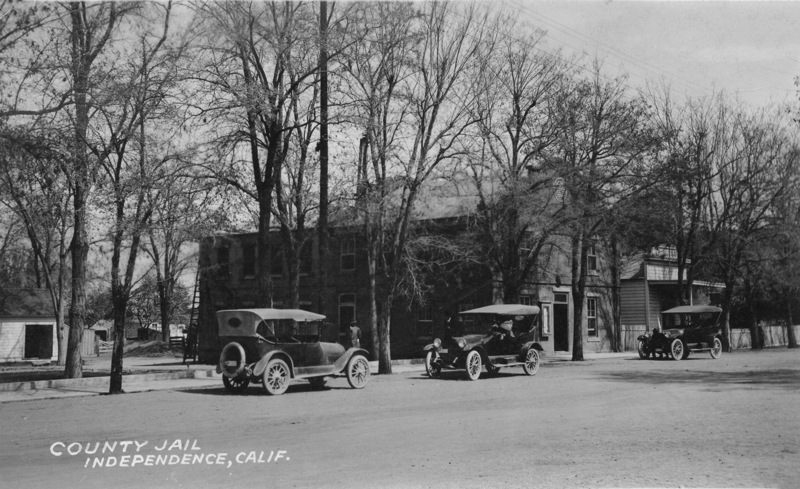 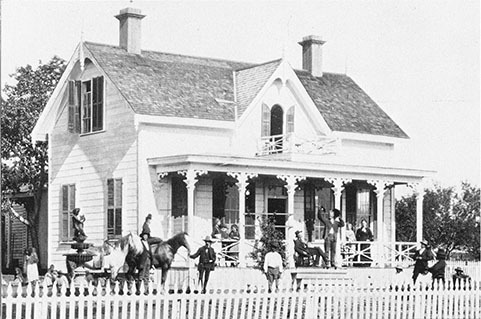 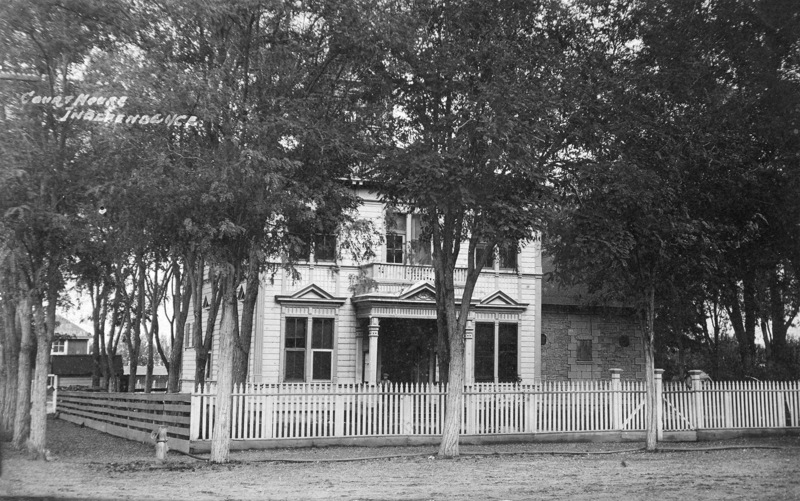 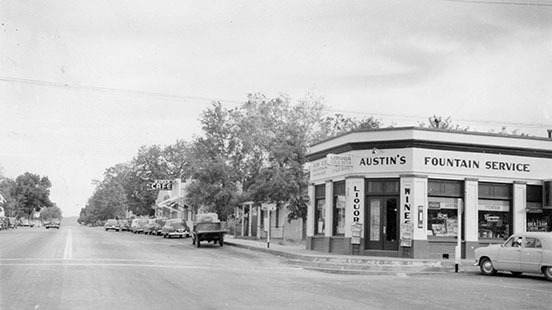 Mary Austin home in Independence, CA. 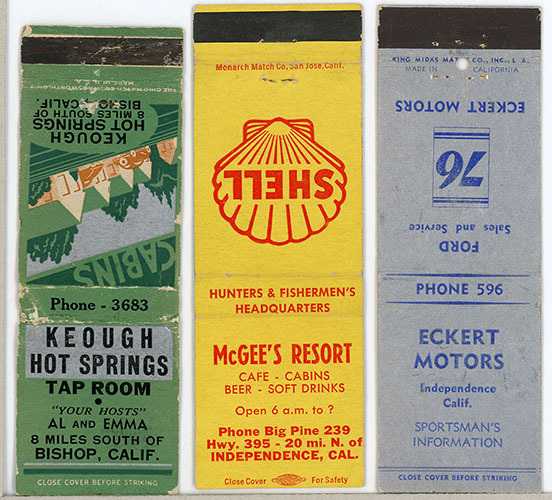 All photo cards courtesy of Rich McCutchan unless otherwise noted. 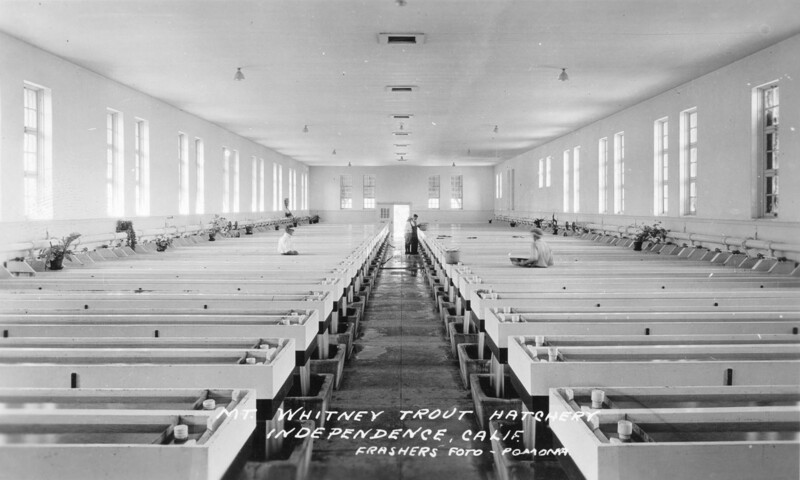 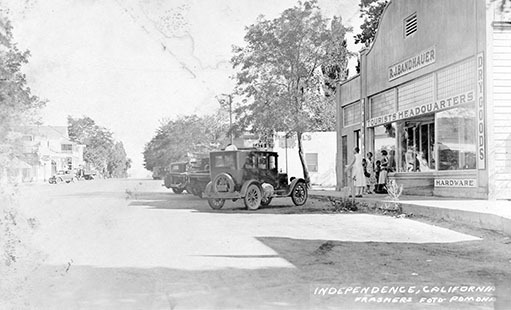 Additional Frasher Foto Cards courtesy the Pomona Public Library where over 7,500 Frasher Foto Cards are archived. 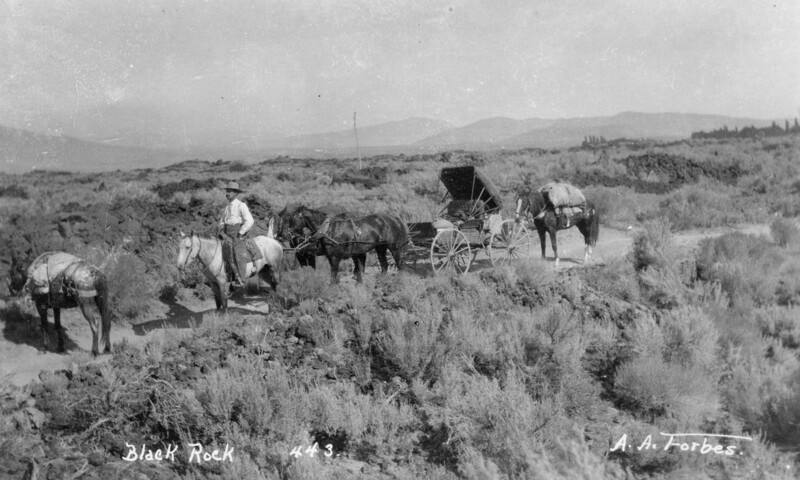 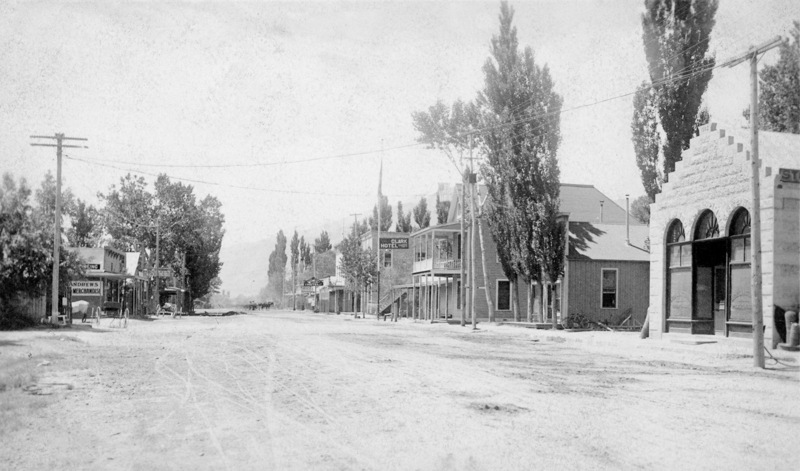 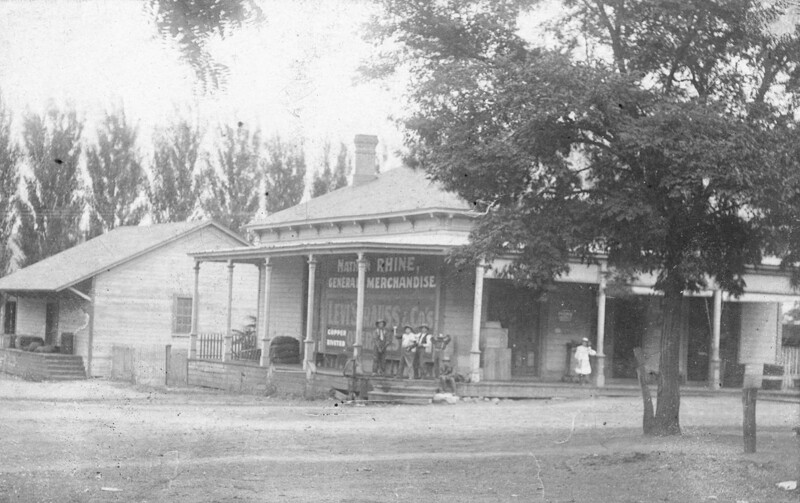 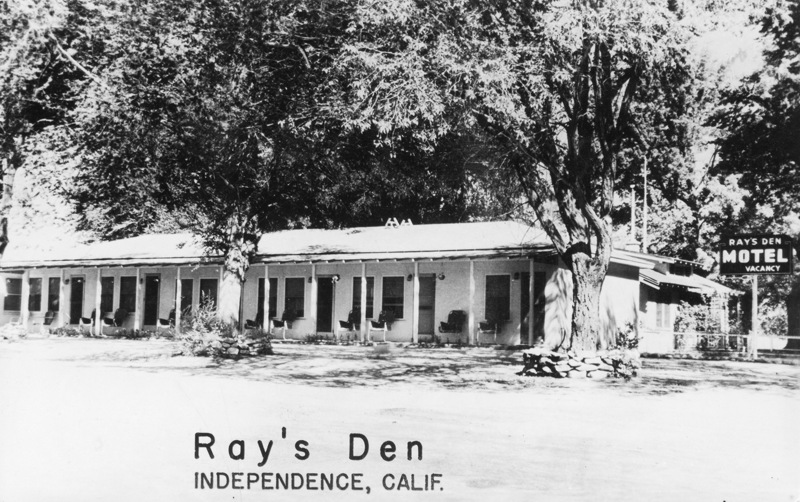 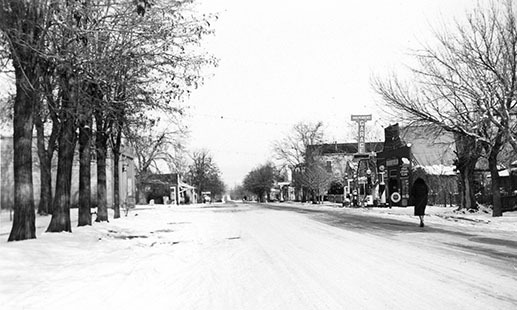 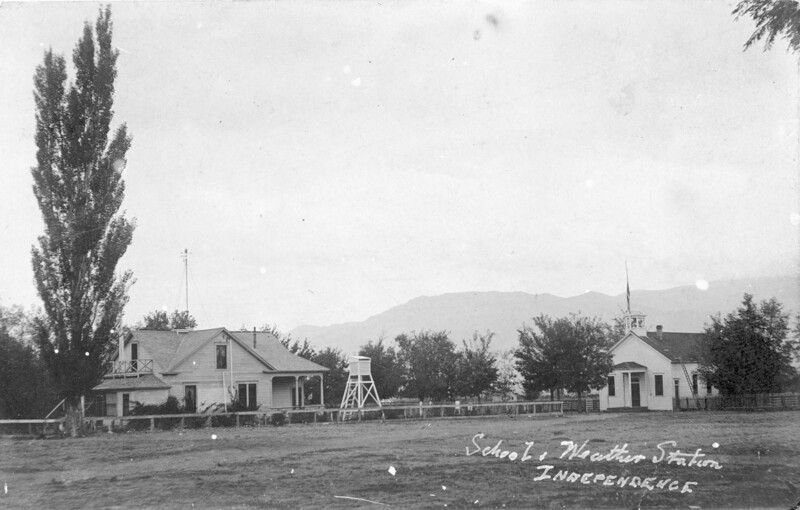 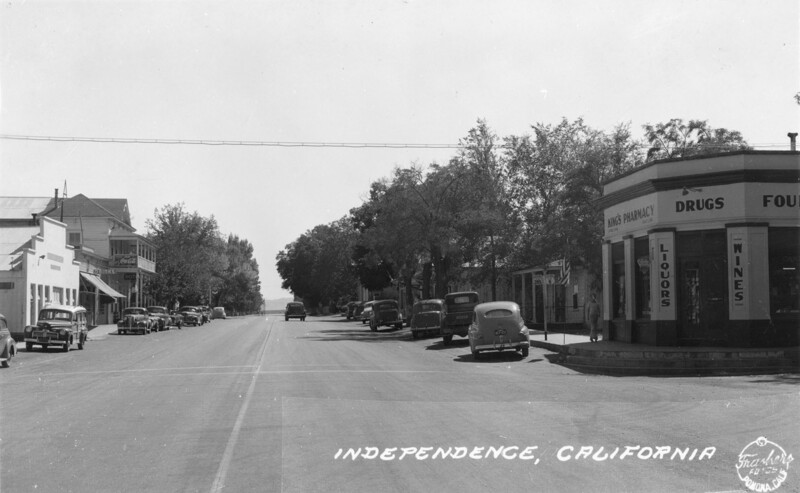 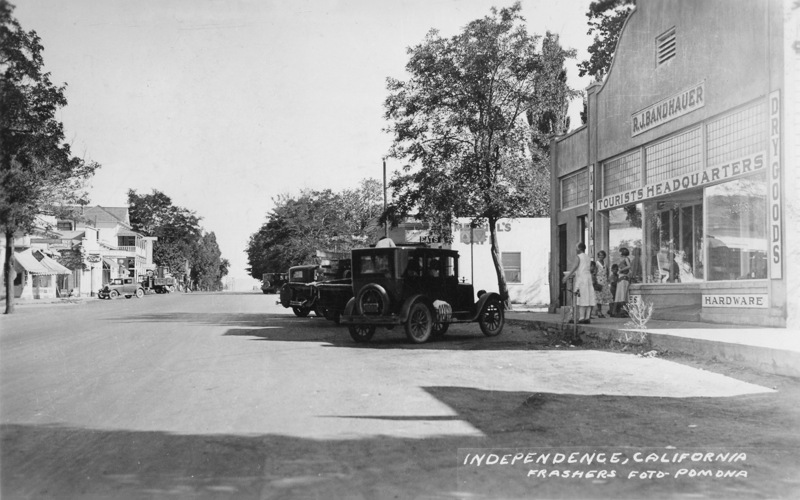 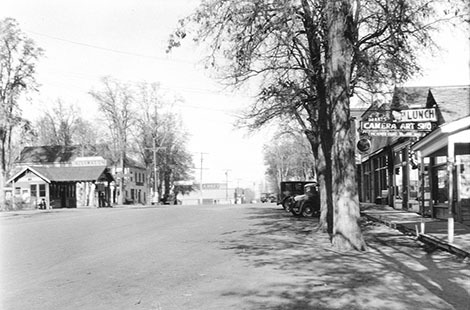 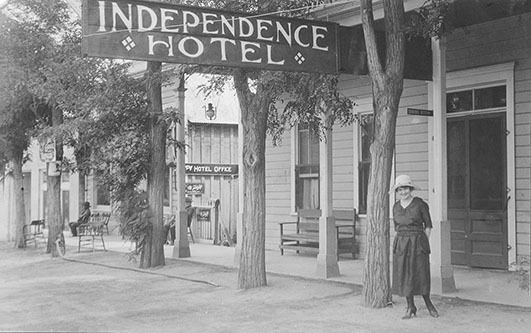 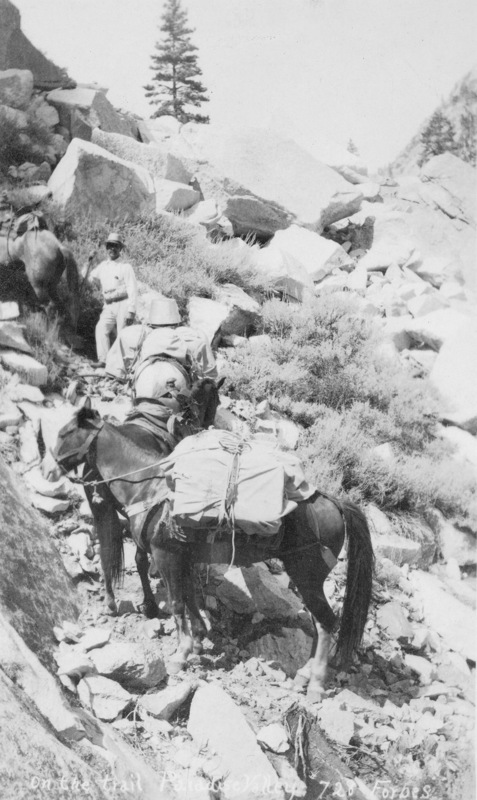 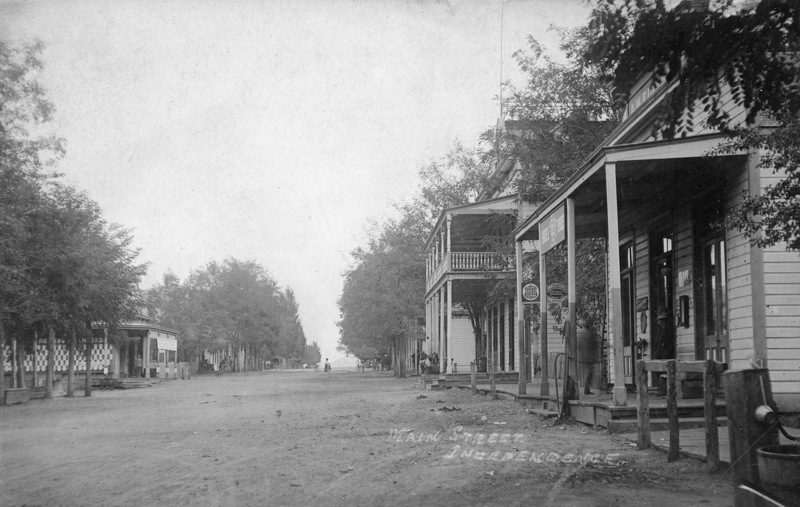 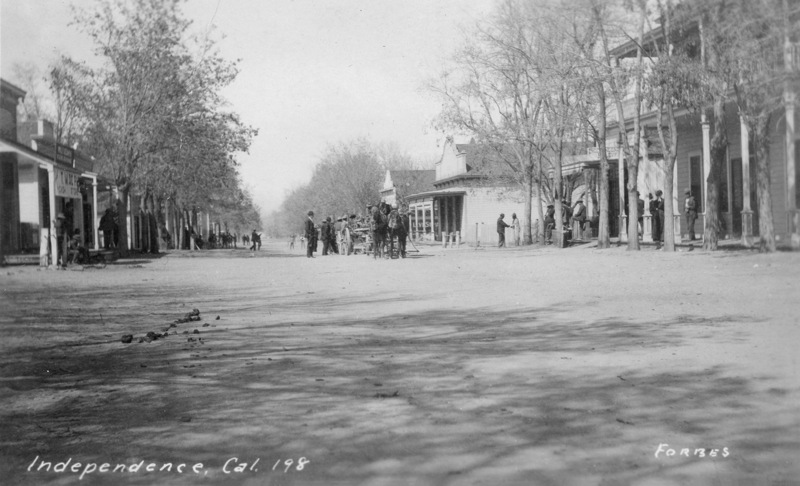 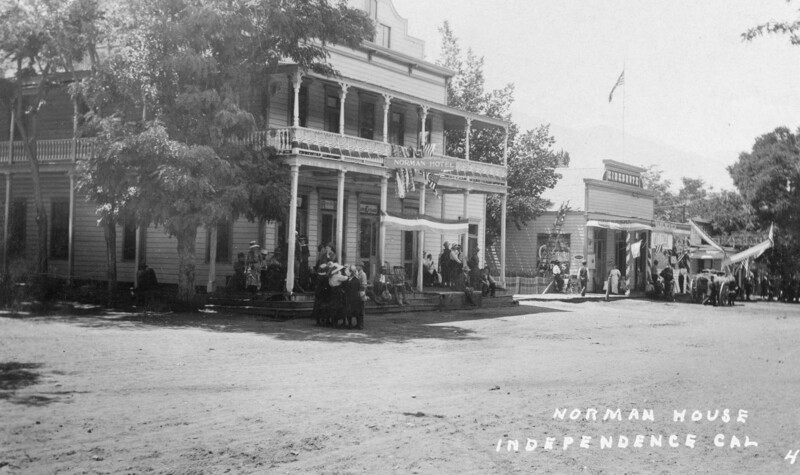 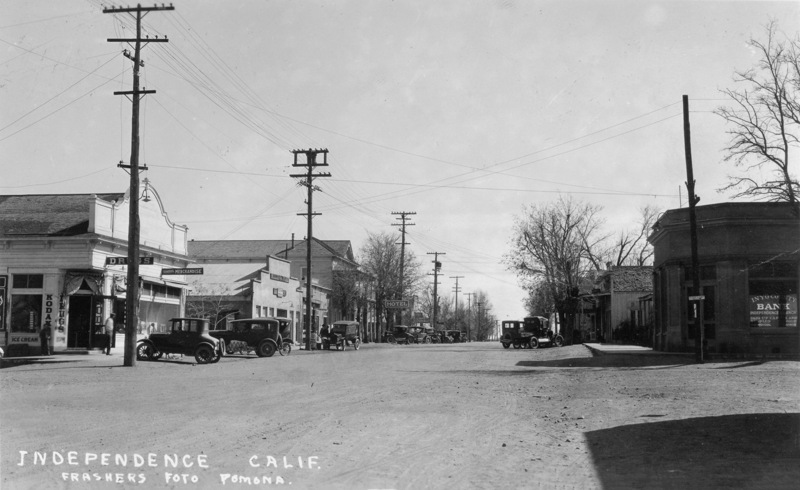 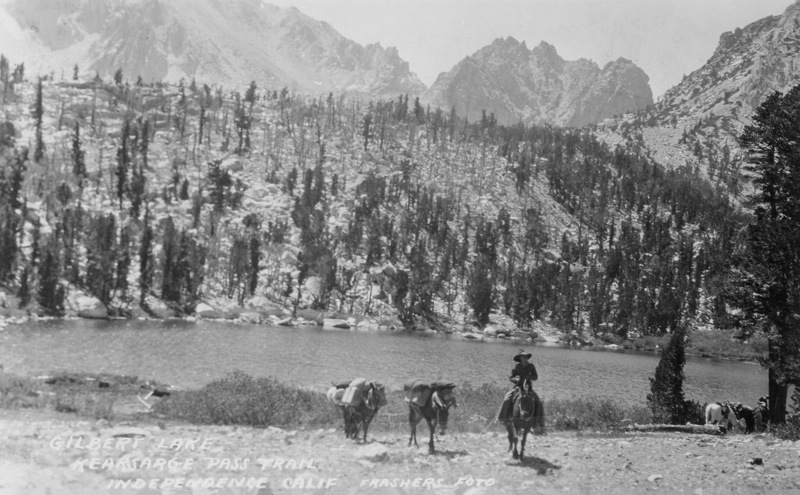 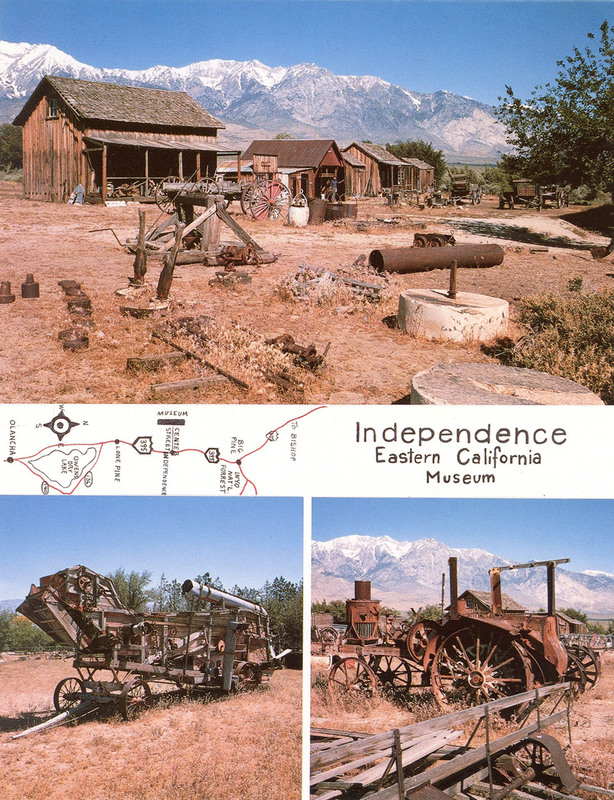 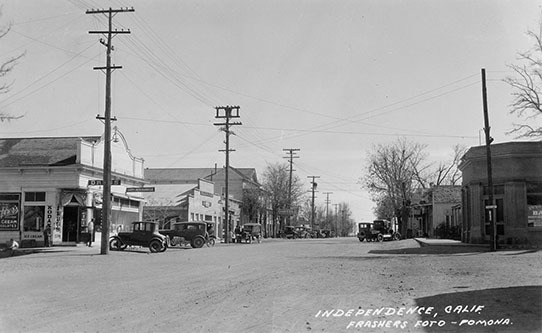 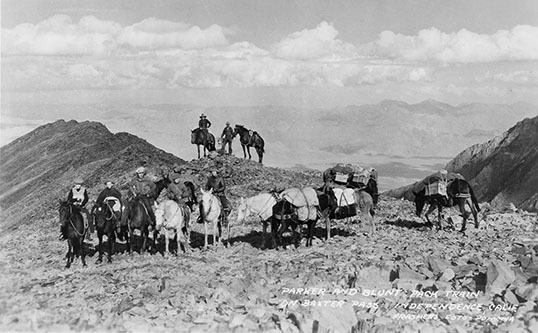 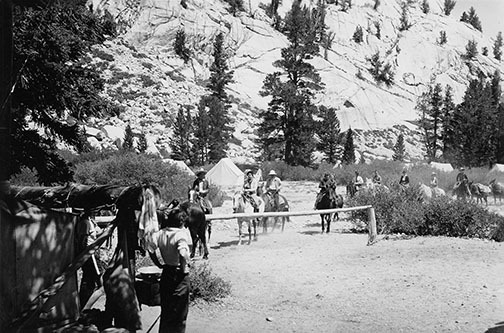 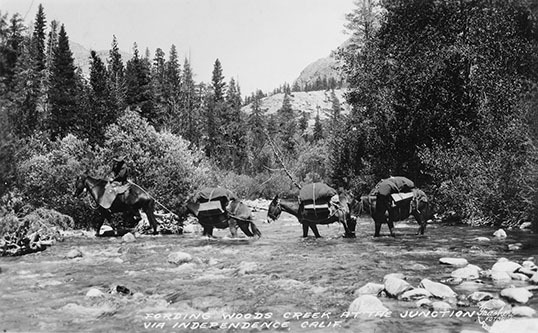 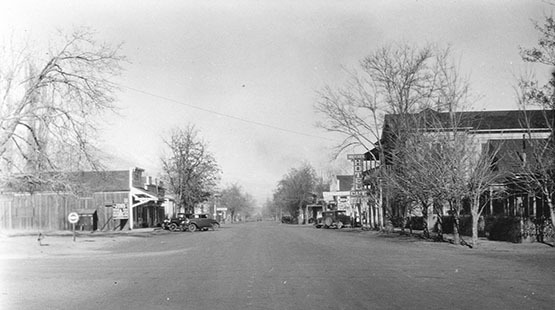 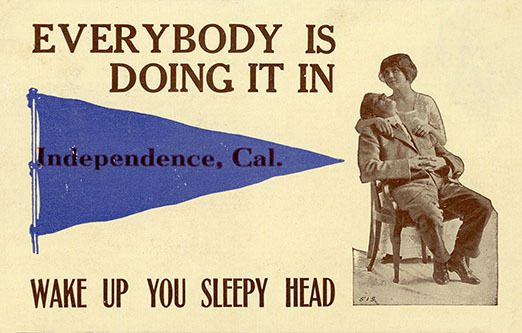 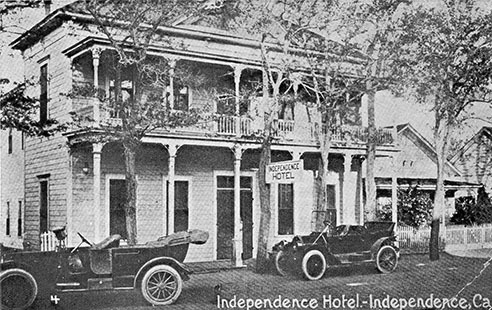 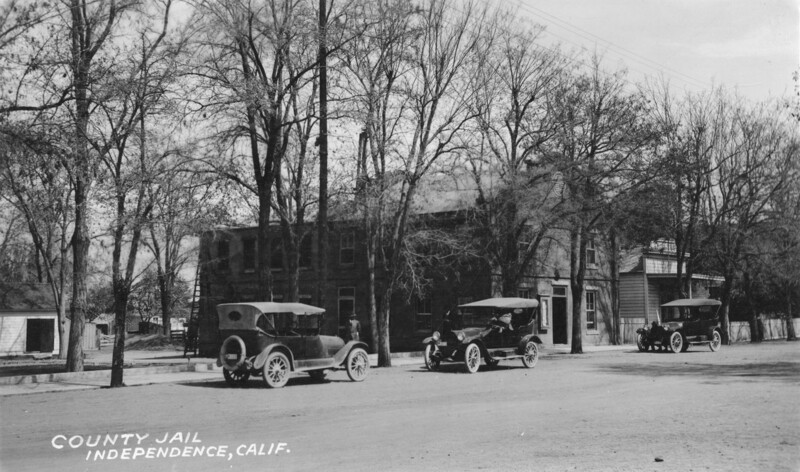 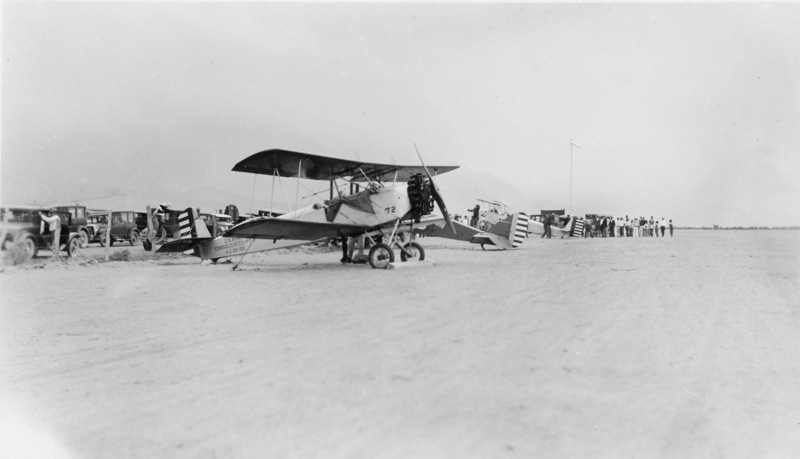 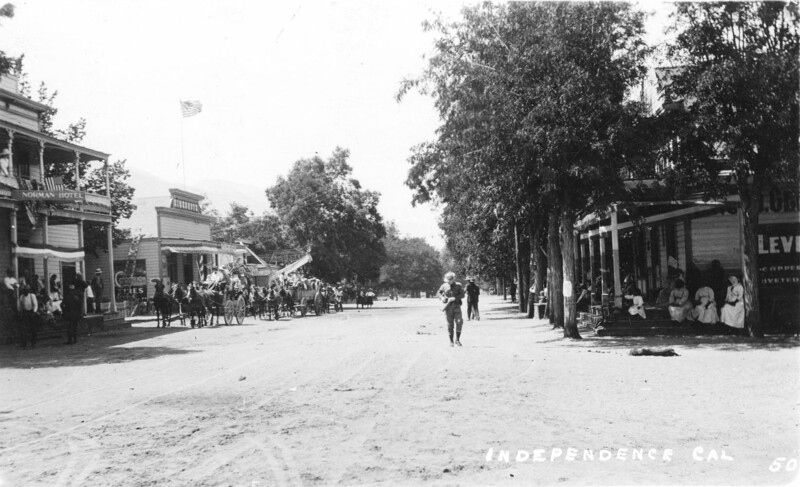 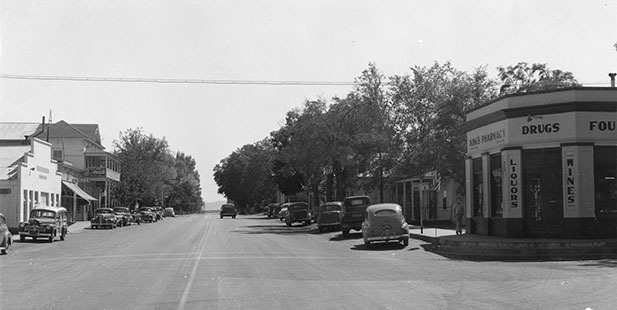 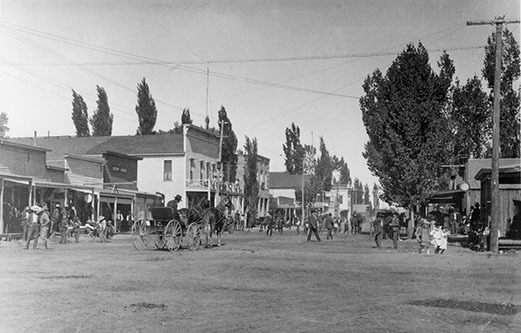 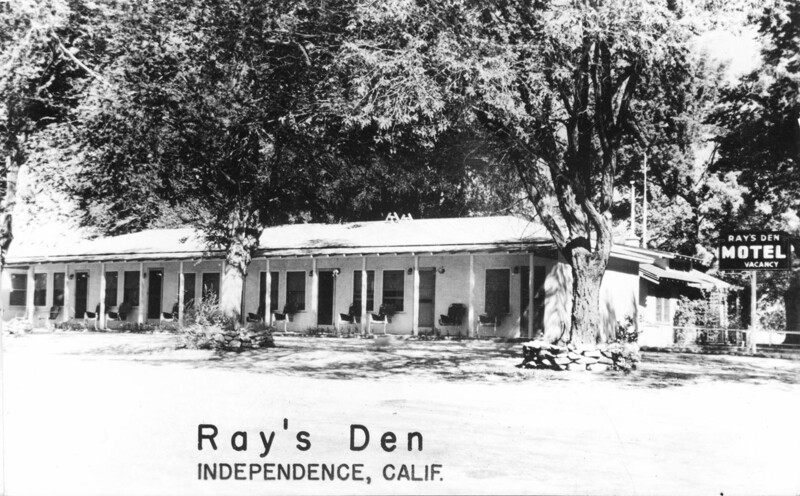 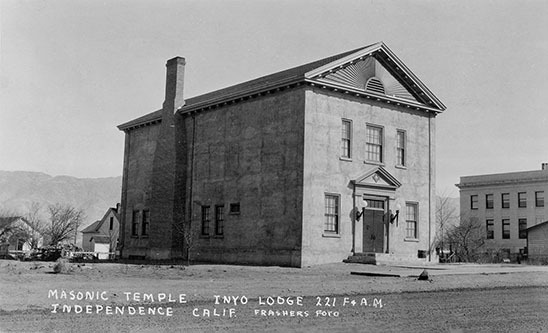 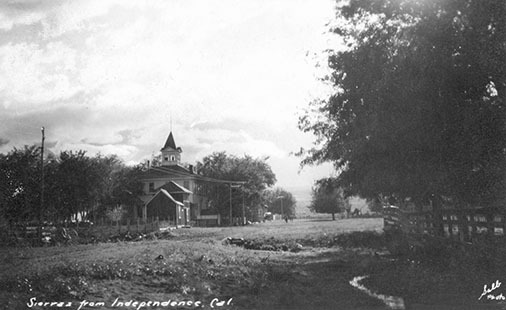 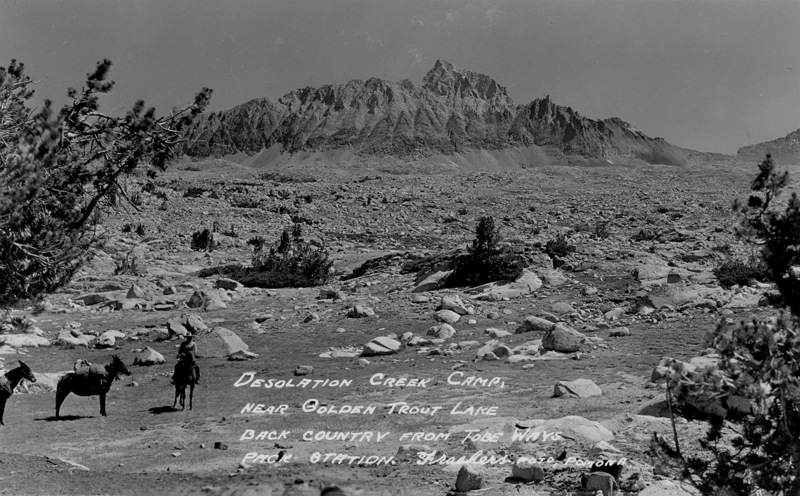 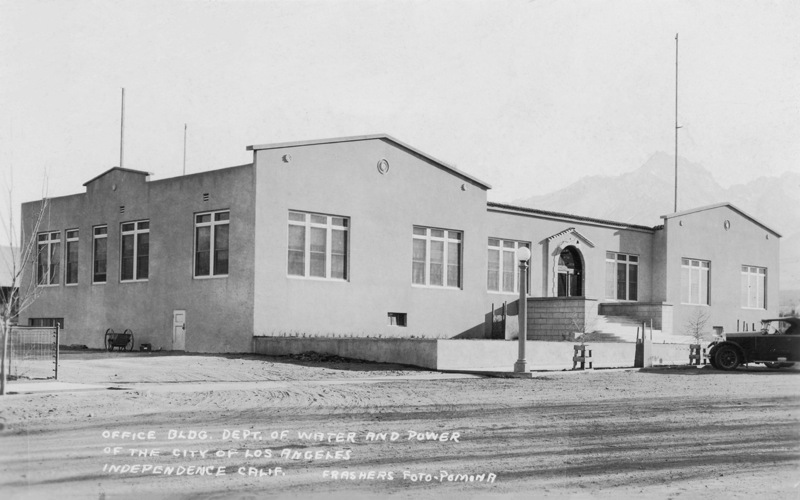 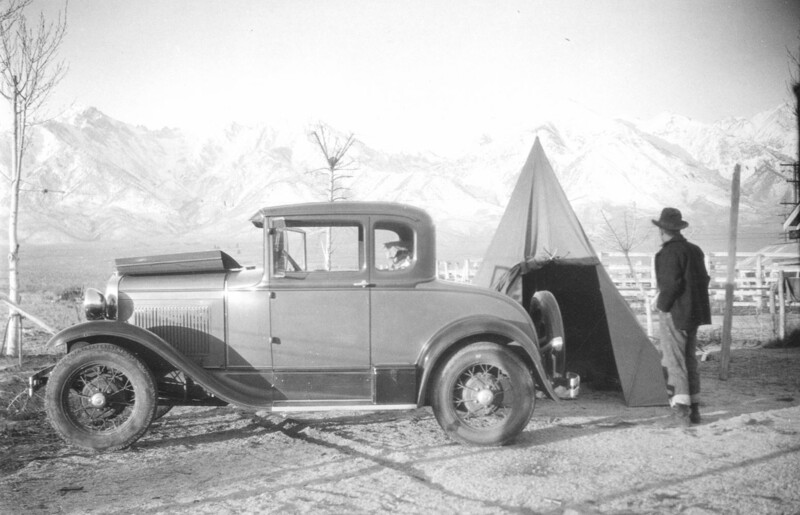 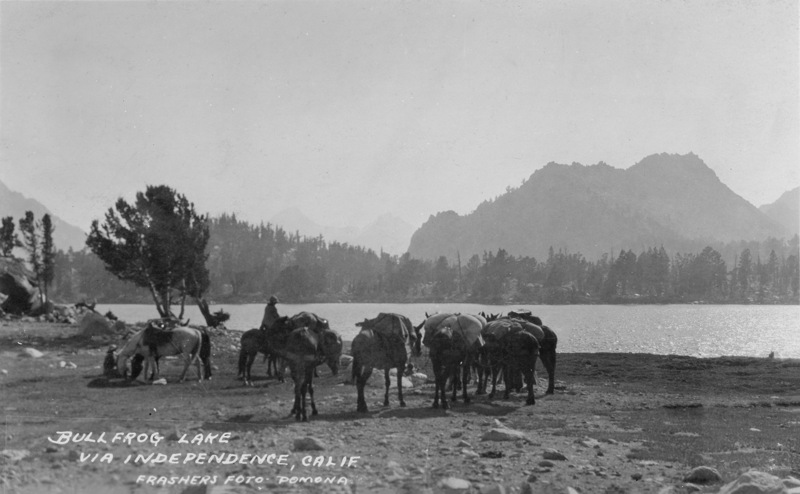 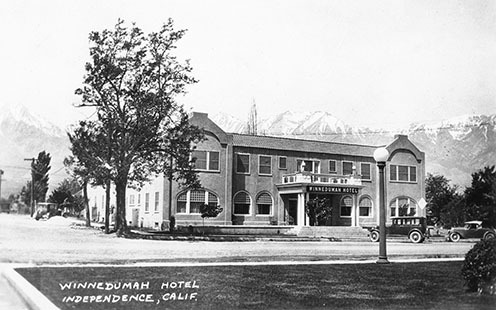 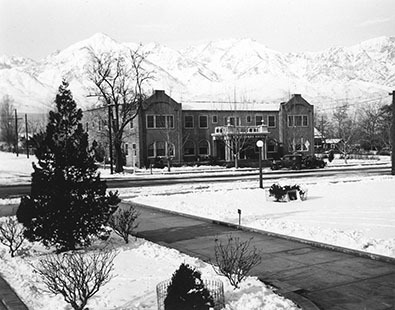 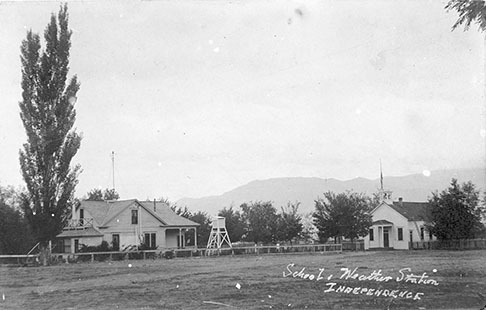 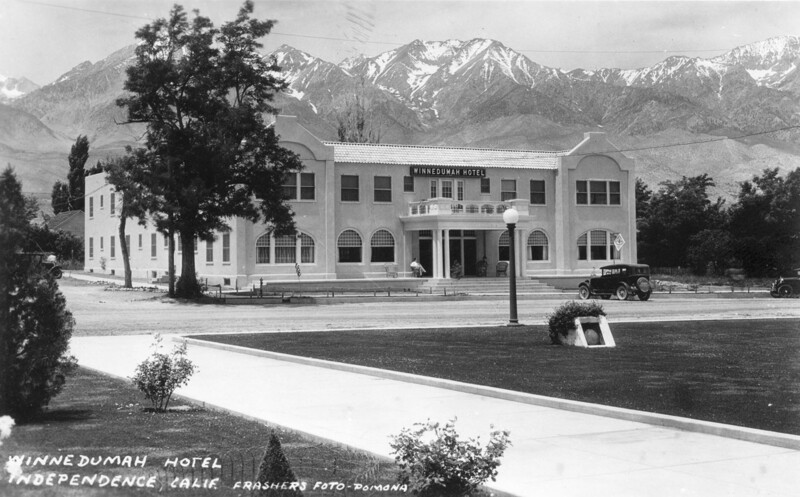 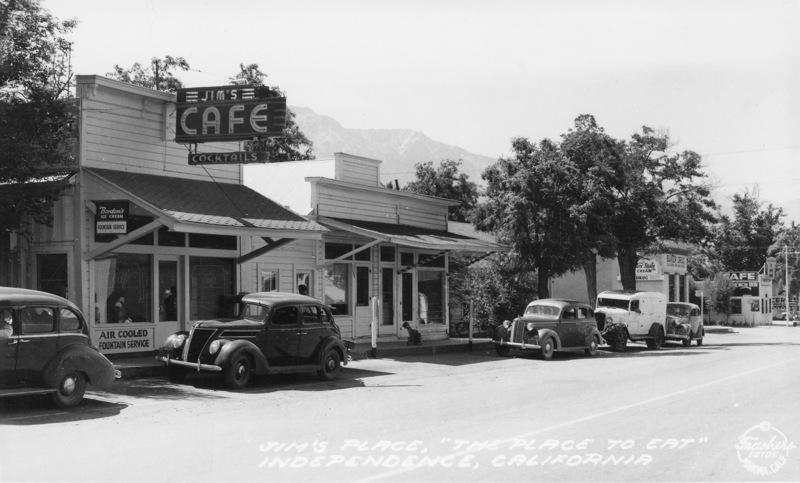 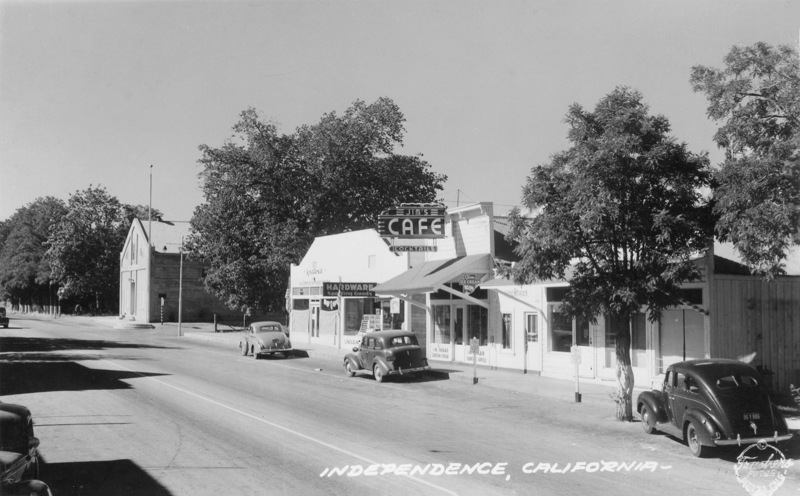 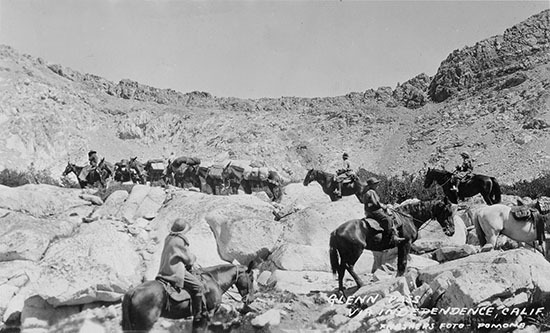 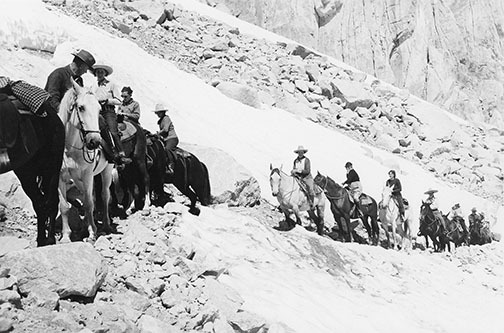 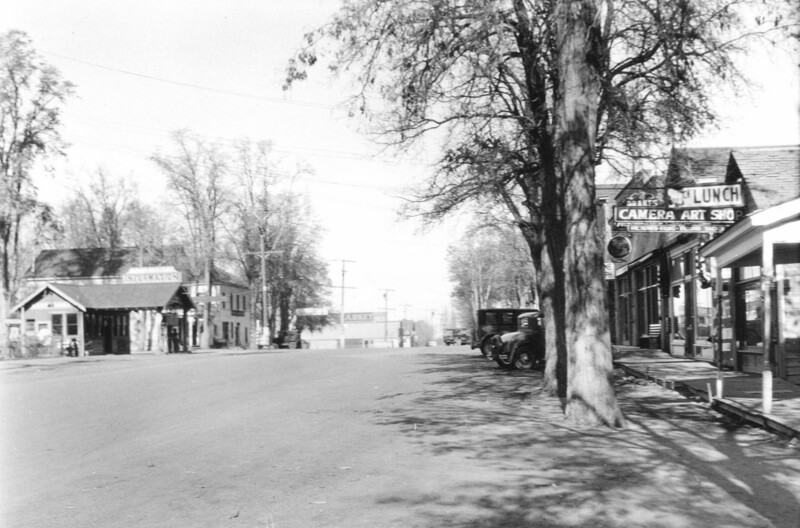 Independence, seat of Inyo County since 1866, lies toward the south end of Owens Valley. On either side, mountains two miles high wall in this long trough-shaped valley - the Sierra Nevada on the west, the Inyo-White Mountains on the east. 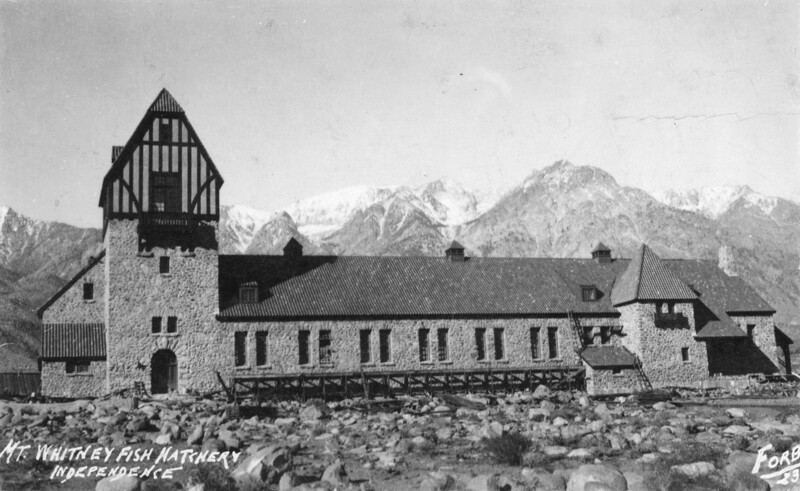 The highest peaks of both massive ranges stand well over 14,000 feet, Mount Whitney 14, 494 and White Mountain Peak 14, 246. 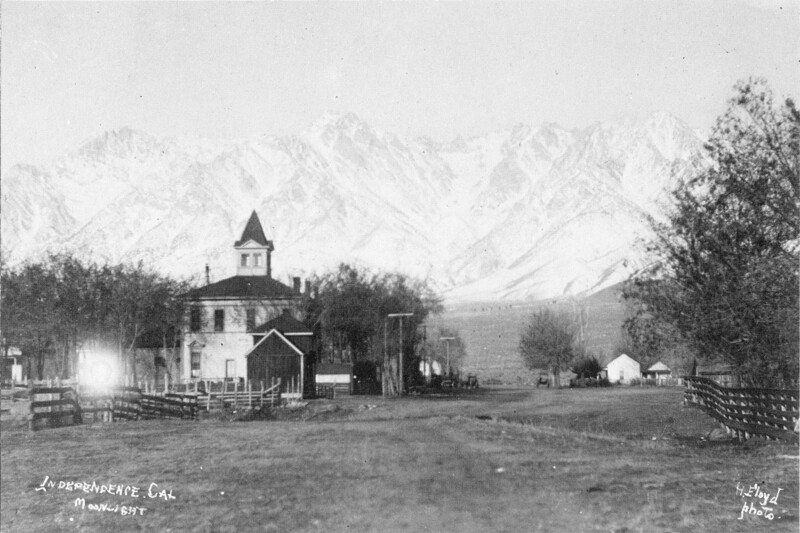 In this unusual moonlight photograph, the old courthouse stands outlined against the Sierra's steep eastern slope. 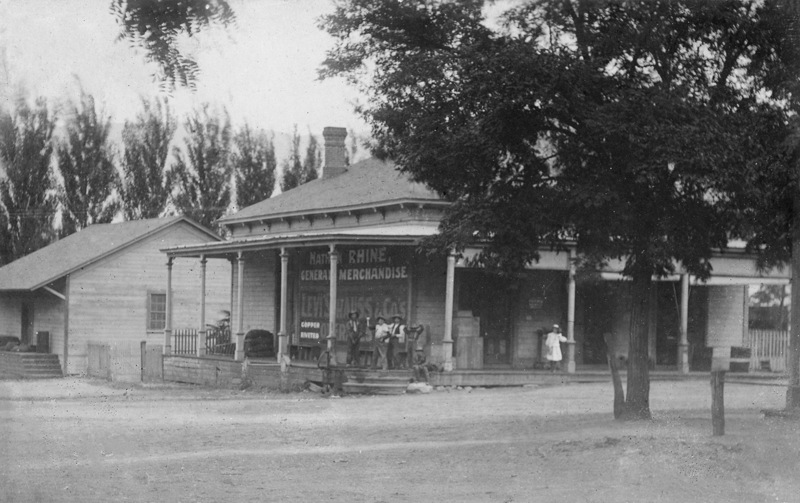 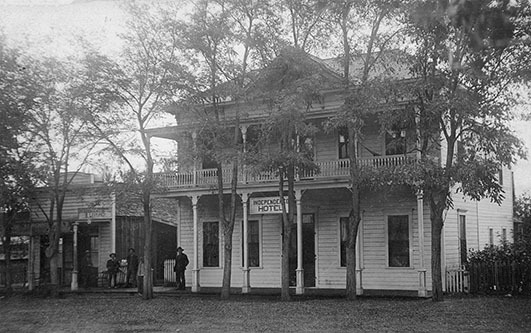 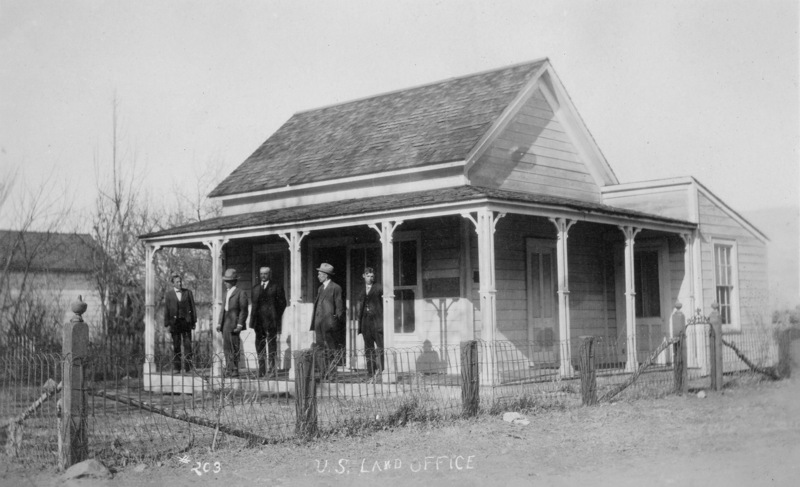 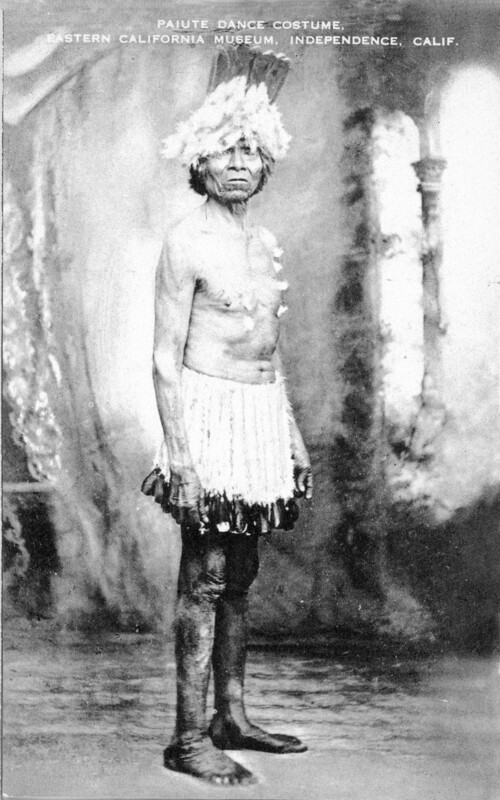 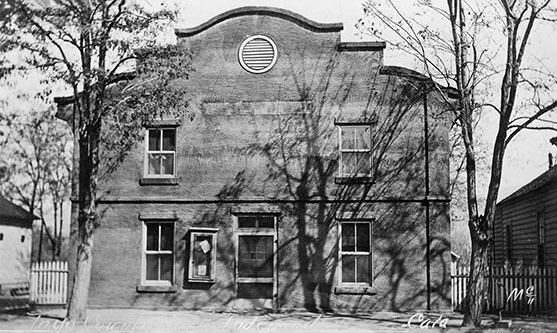 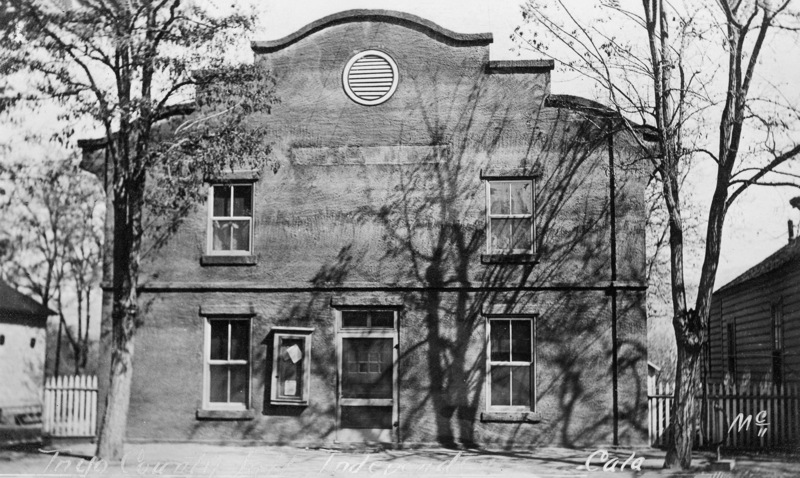 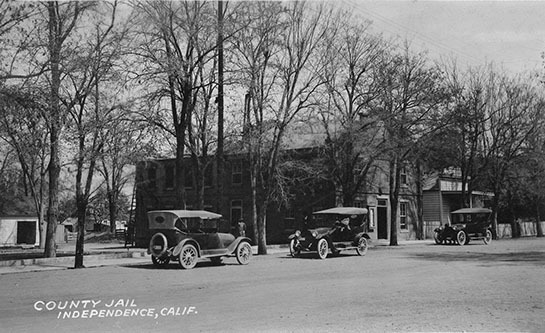 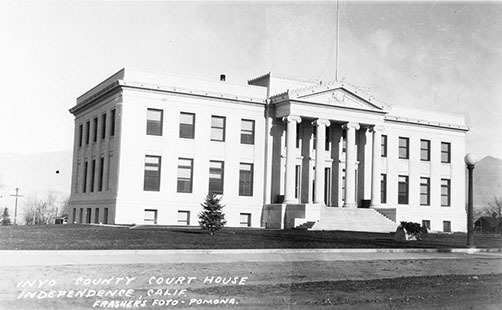 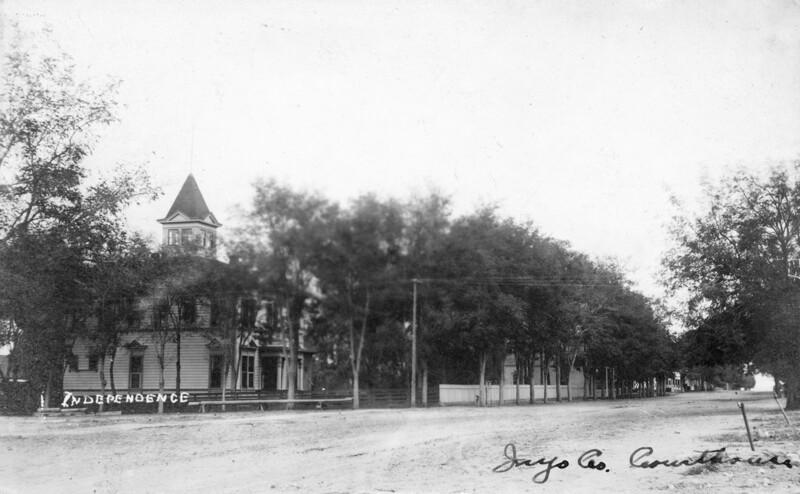 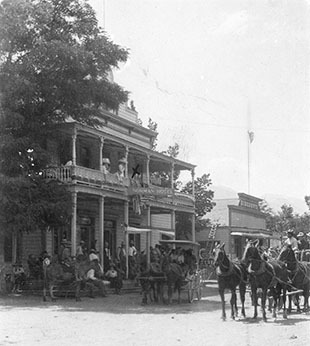 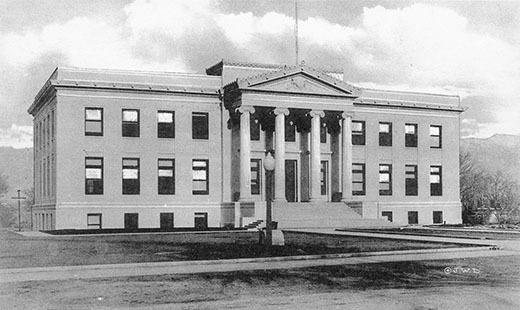 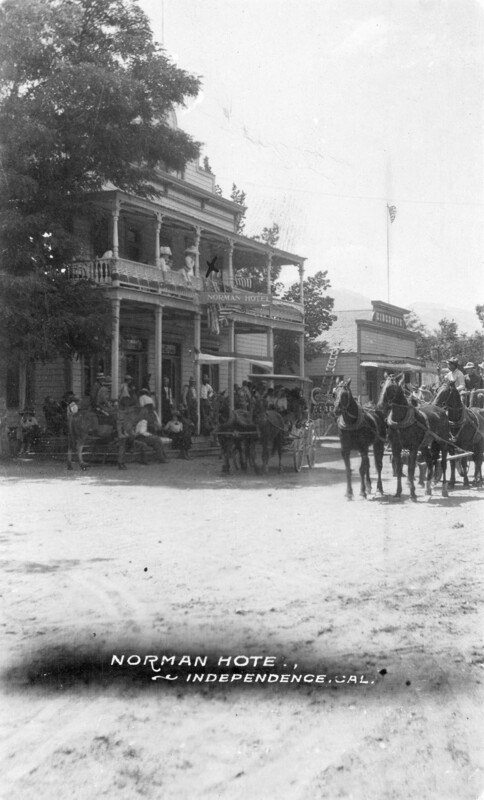 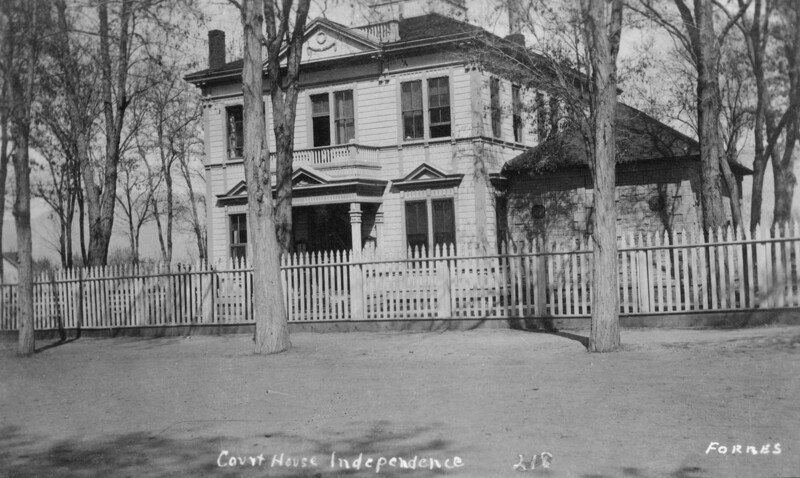 The third courthouse as show in this photograph was built in 1887 and served until the present one replace it in 1921. 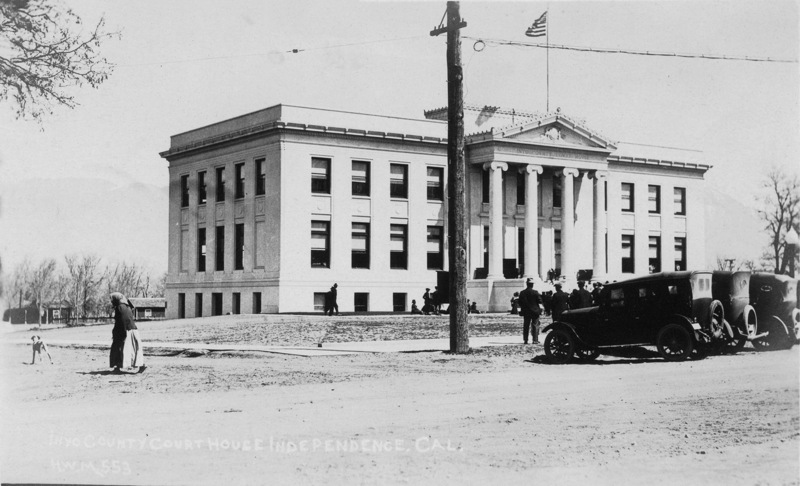 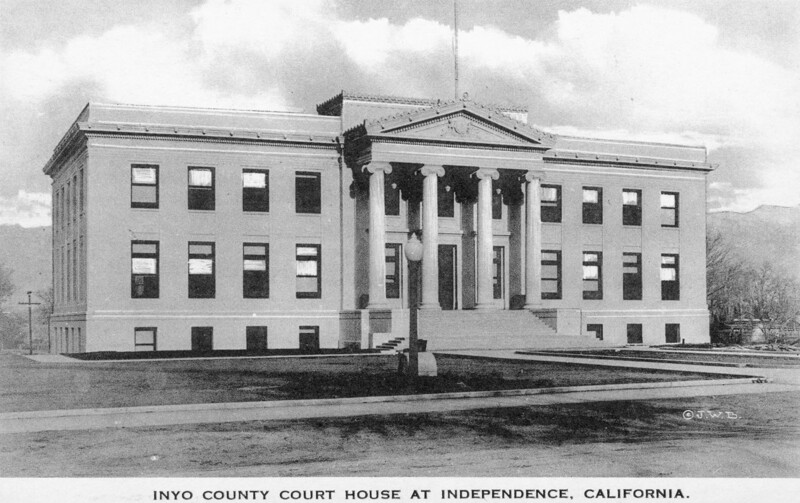 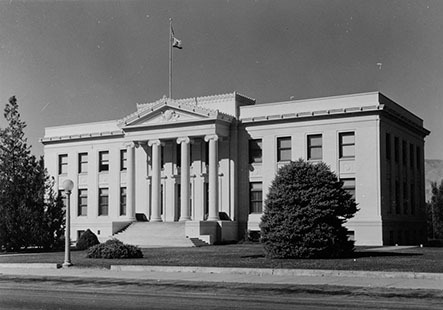 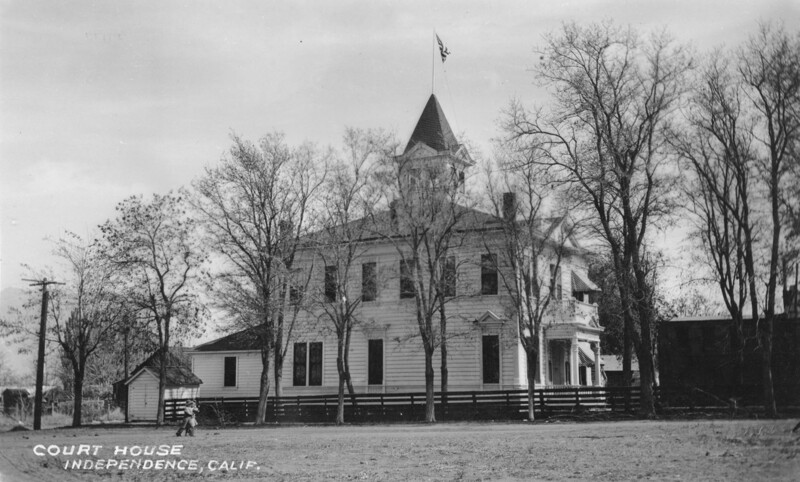 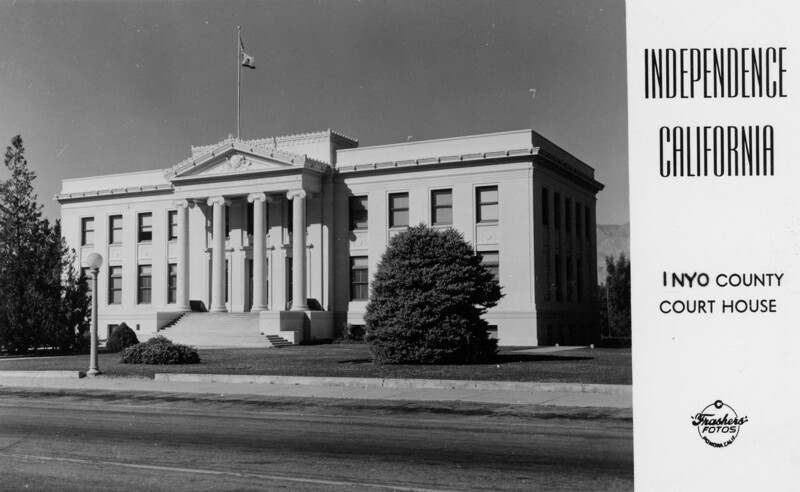 The first courthouse was demolished by the 1872 earthquake, the second by fire. 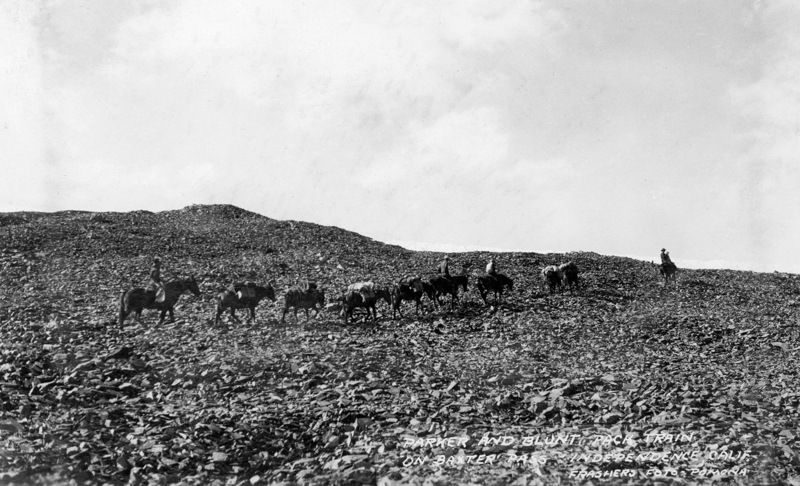 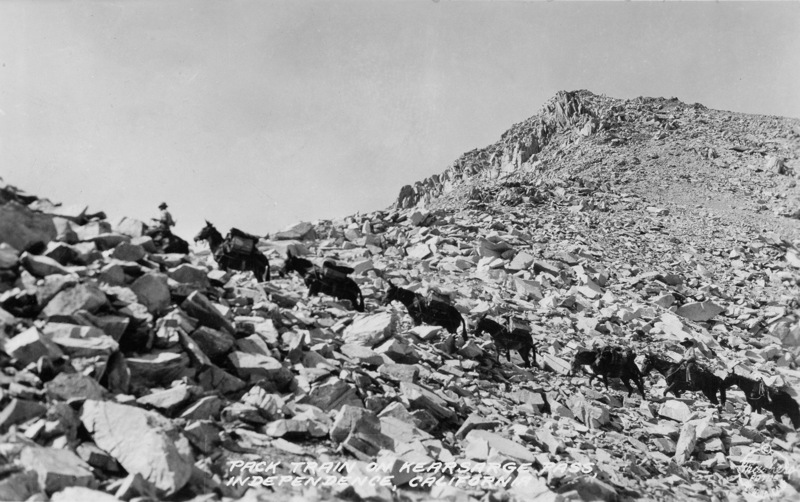 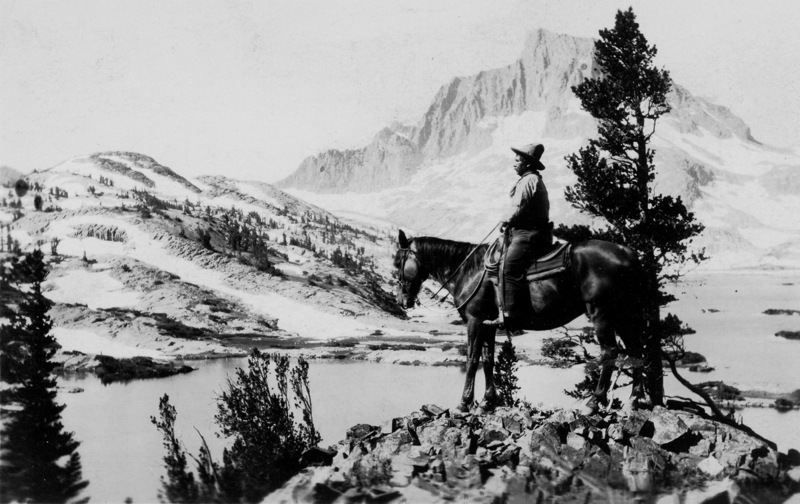 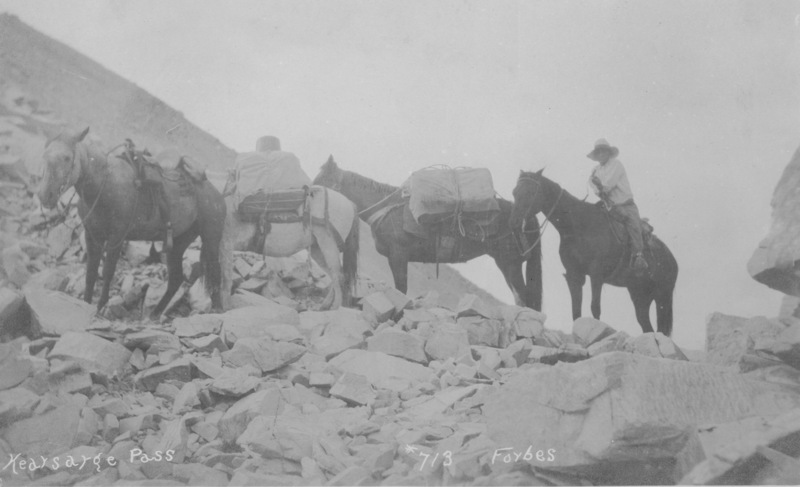 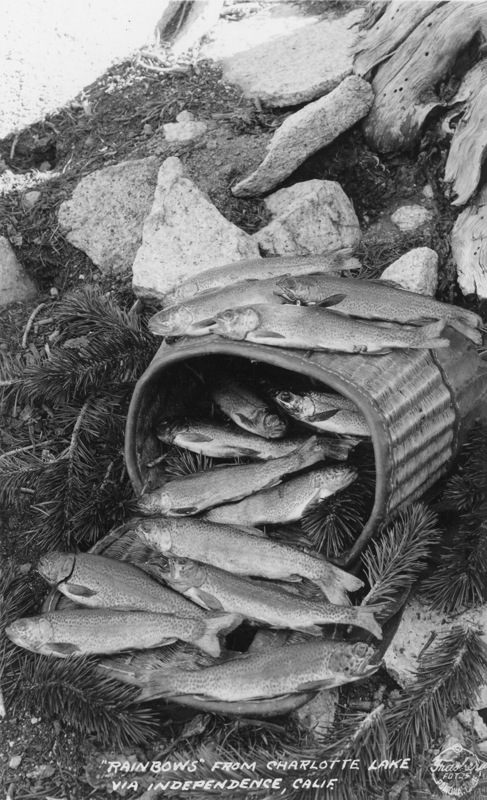 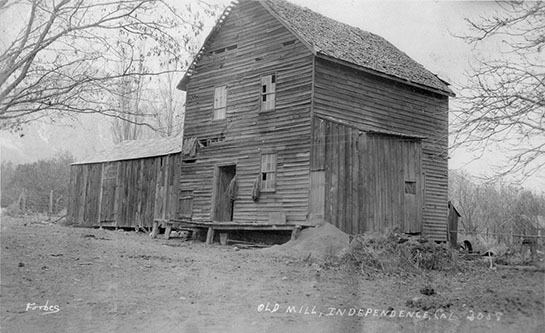 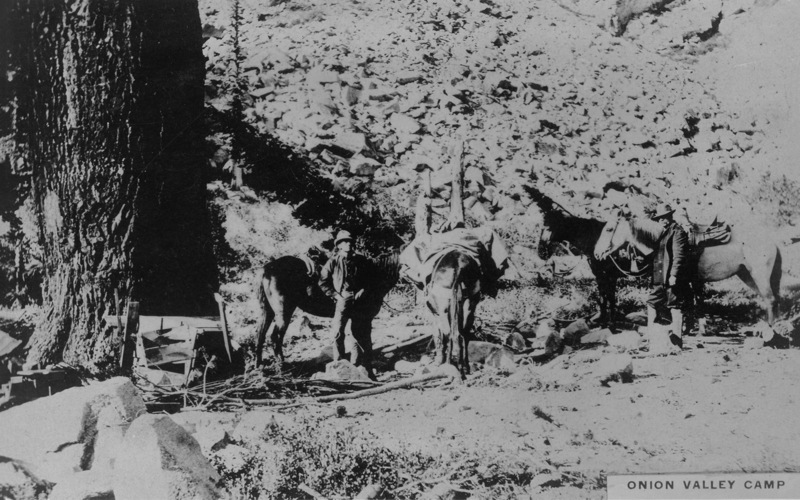 John Shepherd started with 160 acres on Shepherd Creek and eventually acquired 2,000. 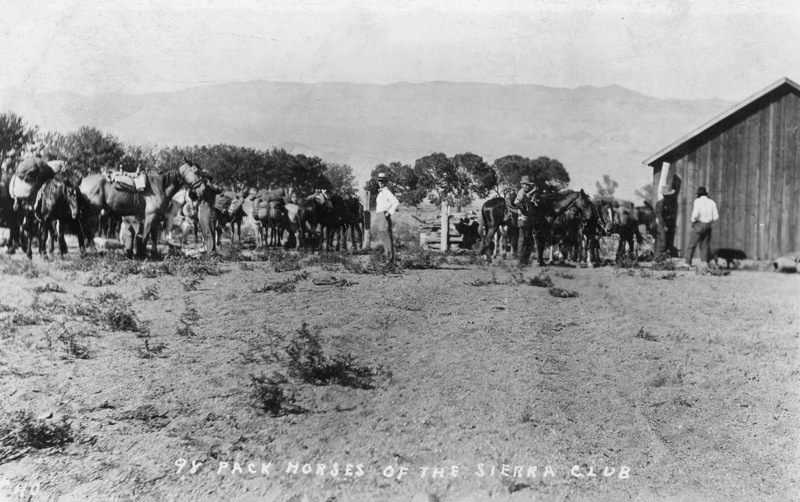 He raised apples, grain, hay, cattle, horses, and mules. 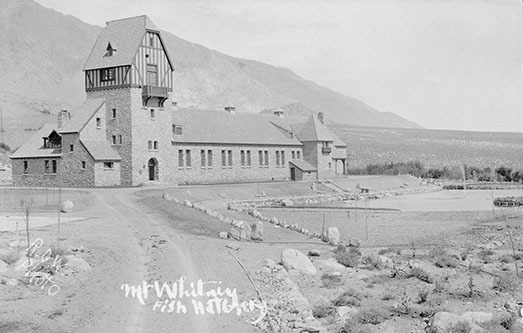 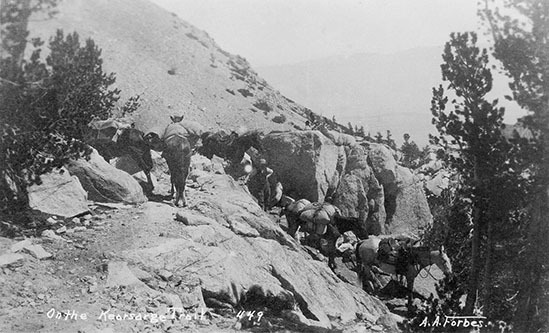 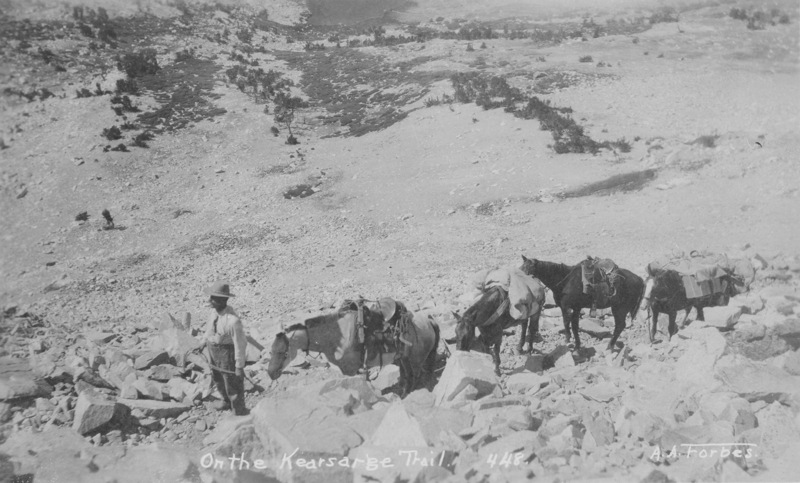 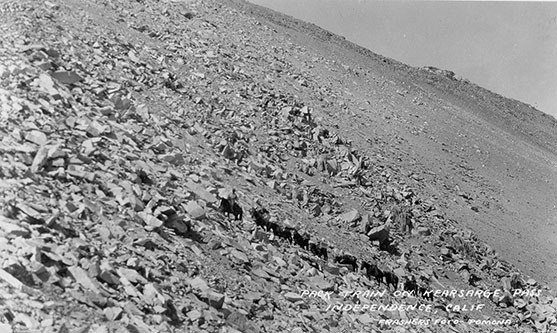 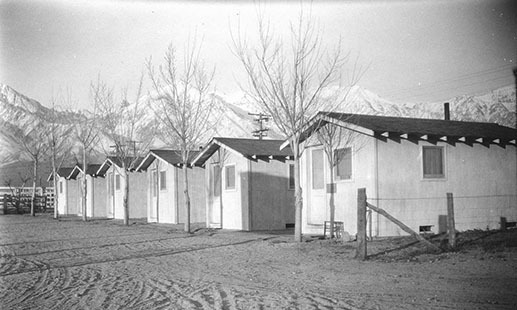 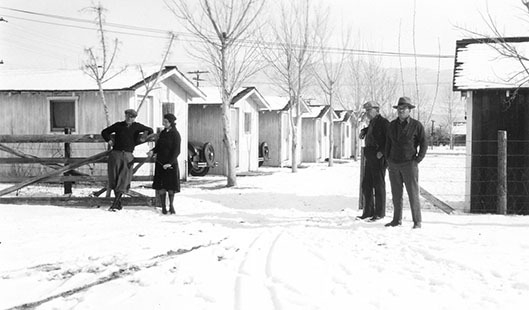 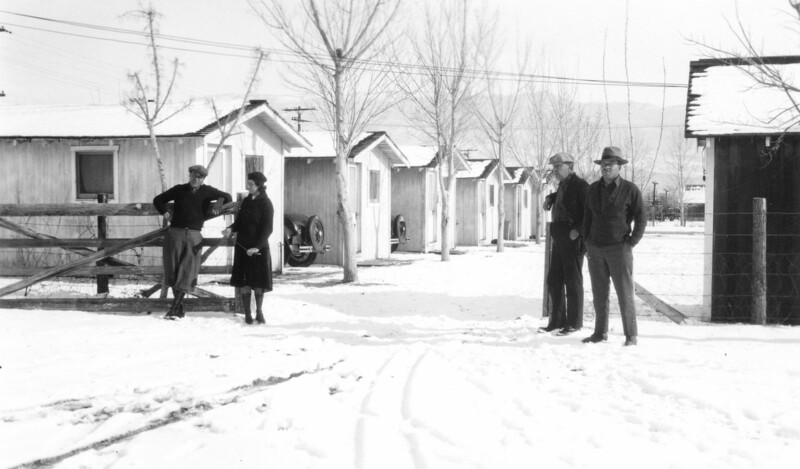 The Shepherd home was one of the showplaces of Inyo.